Like I have said before, although I bake cakes, I usually make the simplest kinds. But I did make more than my usual effort for this cake. 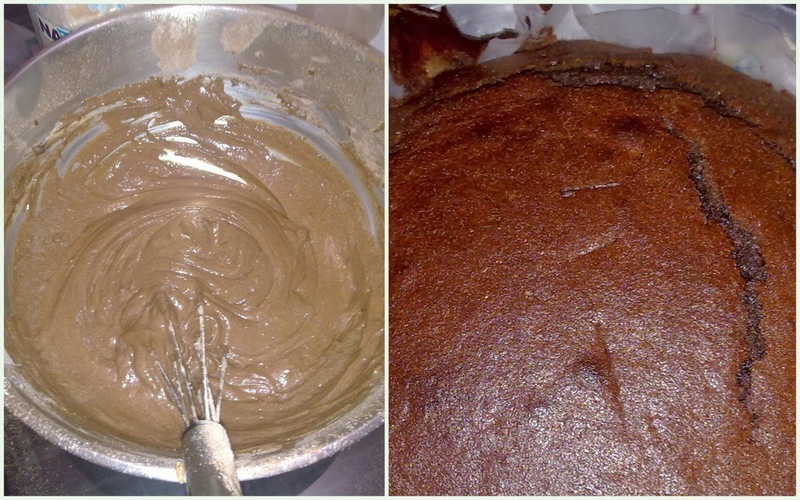 The reason being my sister’s birthday (October 1) and I wanted to bake the yummiest cake for her! 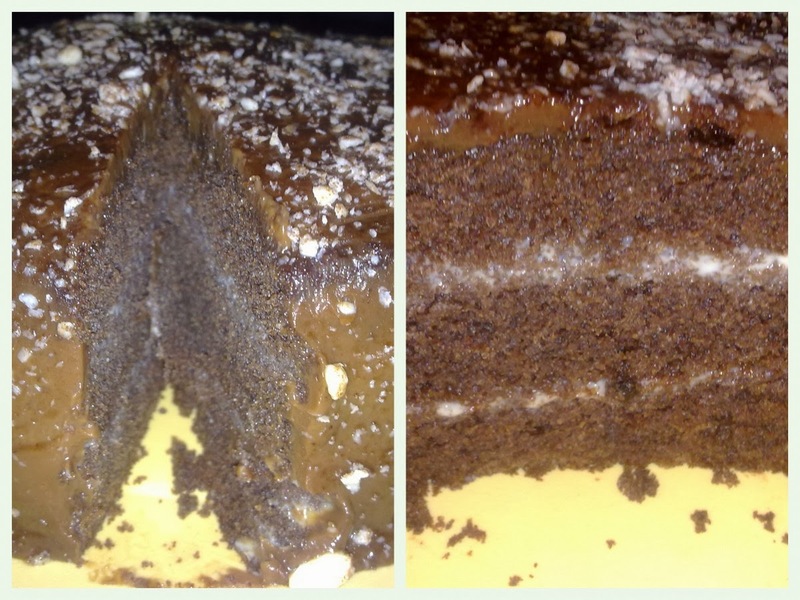 It was worth the effort and as I type this there’s not a crumb of this chocolaty cake left! In this picture the cake stands a little lopsided, a sure sign that the baker still has a long way to go. But perfection to the point of symmetry has never been the forte of most home cooks and I fall in that category. :) But what the heck, I’m going ahead and posting this picture! The exclamations that the cake evoked is enough to make me bake a dozen more in the next two months, I think!! The recipe is from a book called Everyday Chocolate (Parragon Books). It’s loaded with the most divine pictures and recipes and in fact this is my first trial from the book. 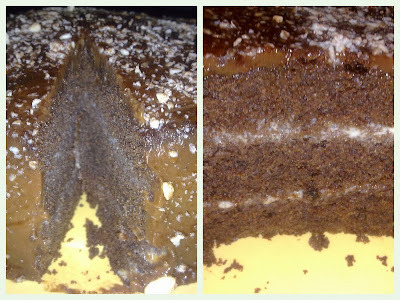 I made a few alterations using less chocolate for the frosting than the recommended 350 grams and adding a quarter teaspoon of instant coffee to the mix. The hint of coffee was delightful. I also cut down on the butter for the frosting. And I didn’t use the food processor for chopping the chocolate. To make the sponge, beat the butter and sugar together until light and fluffy. gradually beat in the eggs. Sift the flour and cocoa into another bowl, then fold in the batter. Spoon into a greased and base-lined 20-cm deep round cake tin, level the surface, and bake in a preheated oven at 180 degrees C for about 45-50 minutes, or until springy to the touch and the tip of a knife inserted in the centre comes out clean. Cool in the tin for 5 minutes, then cool completely on a wire rack. To make the filling heat the cream to almost boiling. Chop up the white chocolate and add to the cream. Switch off the flame. Stir till the chocolate melts and ensure that there are no lumps. Transfer to a bowl to cool, then cover and chill until firm. To make the frosting, melt the chocolate. Stir in the butter and cream. Cool, stirring frequently, until the mixture is of spreading consistency. Slice the cake into three layers. Sandwich the layers together with the filling. 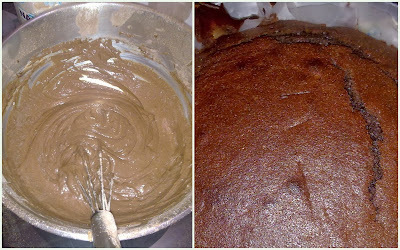 Cover the cake with frosting and put the grated chocolate on top. (Should have been chocolate curls, but that’s another story). Mix the icing sugar and cocoa and sift over the cake. Thank you for stopping by today. Blending Flavours is on Facebook. Hope you visit and Like my page!